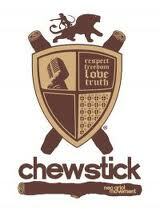 The Chewstick Foundation will be holding its first Tag Day this Friday [Dec 7] to raise essential funds for general operating expenses and to enhance their service to the community. Volunteers will be stationed outside businesses in the City of Hamilton to distribute “Hearts of Gold” to passersby and helping to raise $30,000. They are upping the ante on Tag Days as usual by introducing Bermuda’s first ever “Virtual Tag Day” starting Wednesday and are challenging the online community to raise more than those on the street. Chewstick has partnered with www.ptix.bm to offer this unique concept which, if successful, could pave the way for a new fundraising model for the non-profit community, and go a long way toward raising their target of $30,000. In addition to the Virtual Tag Day twist, passersbys on the street will be treated to busking-style performances as artists take their talents to the streets in support of The Chewstick Foundation. Some of the artists lending their voices to this novel idea are Princess Black, Haz, Rivah, Caiside and many more.